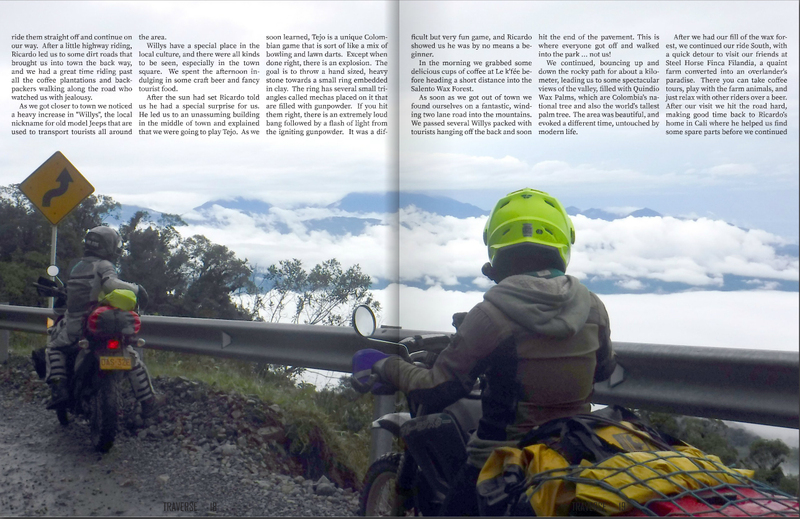 The Adventures of JB2: We're in a Magazine! We recently had an article published in Issue 7 of Traverse Magazine. 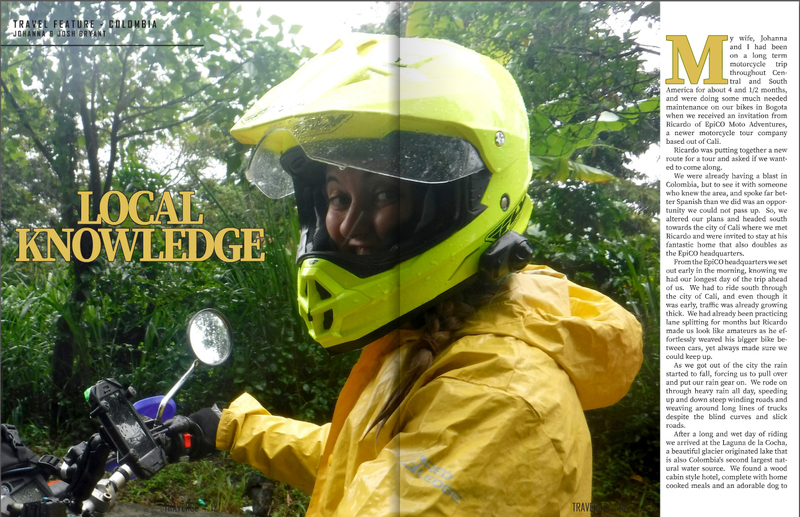 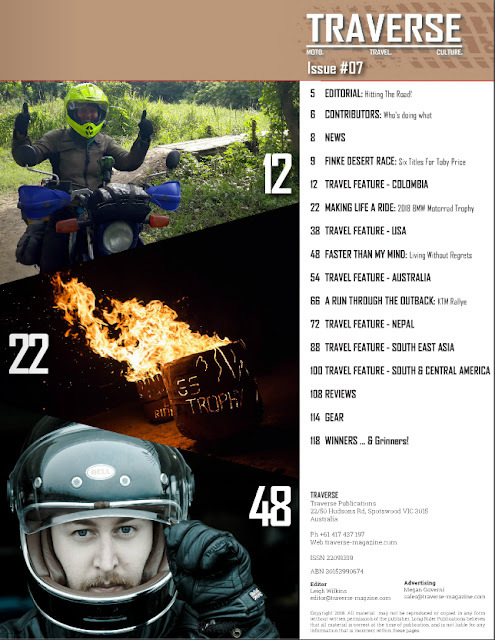 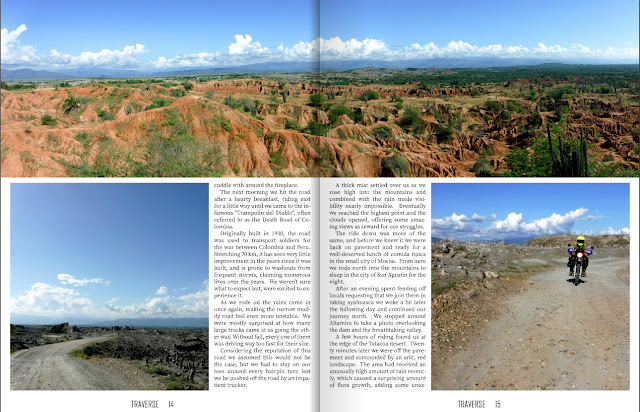 Traverse is a free online motorcycle travel publication that features articles from real travelers. They contacted us while we were on our trip around the Americas and asked us to write an article. 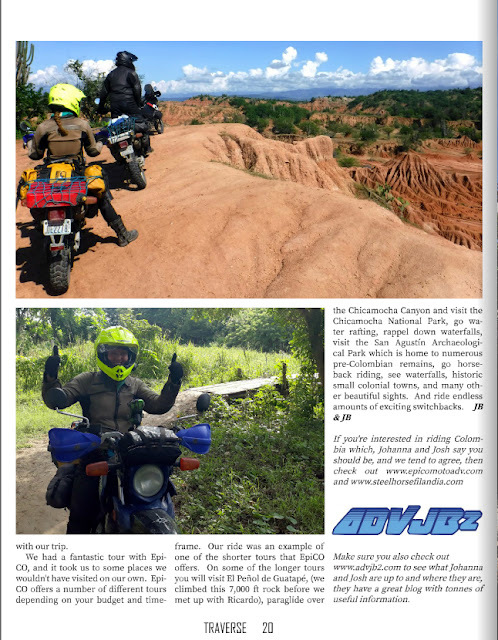 We decided to write one about our amazing time exploring Colombia with Ricardo from Epico. 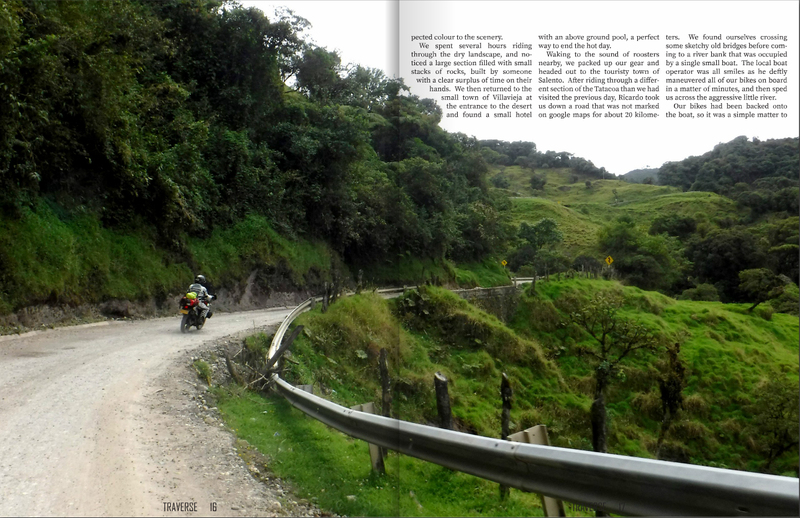 To read the full article and magazine, click HERE.